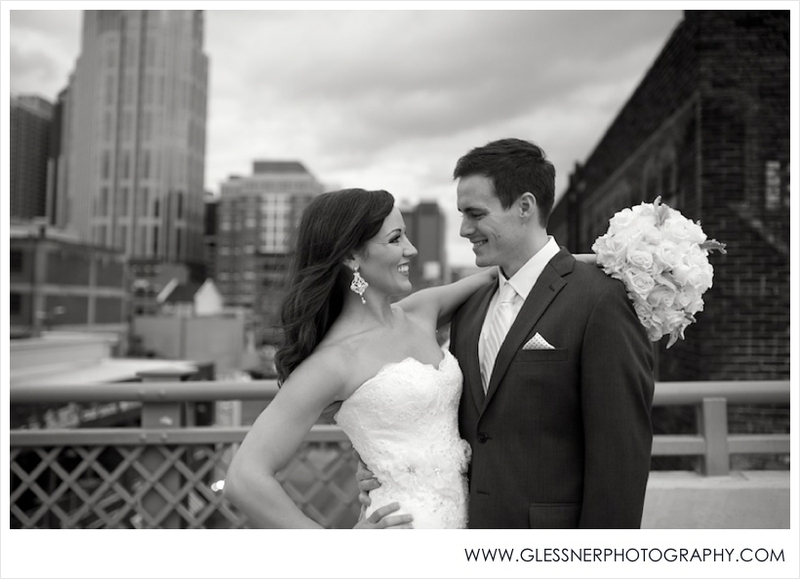 Our last wedding of the year was one for the record books, as my dear friend Claire married her sweetheart, Spence, the weekend before Christmas at Nashville Event Space's aVenue in downtown Nashville (you may remember them from their engagement session in the fall of 2012 - it's one of my all-time favorites). 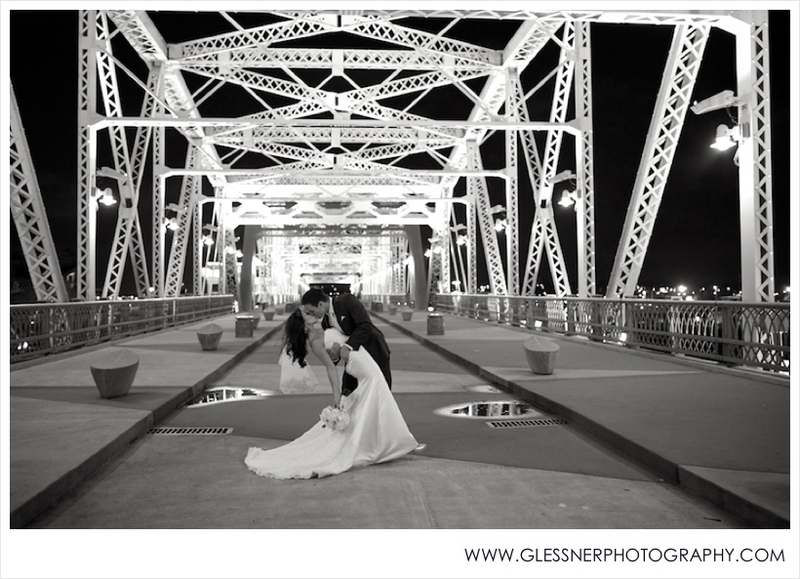 To say it was a crazy wedding day would be an understatement - it was an unusual 70-degrees in December with a 90% chance of rain (and possibly the windiest day ever), I was as sick as I've been in 3+ years with a fever (purposefully unbeknownst to the bride - no need for unnecessary stress!) 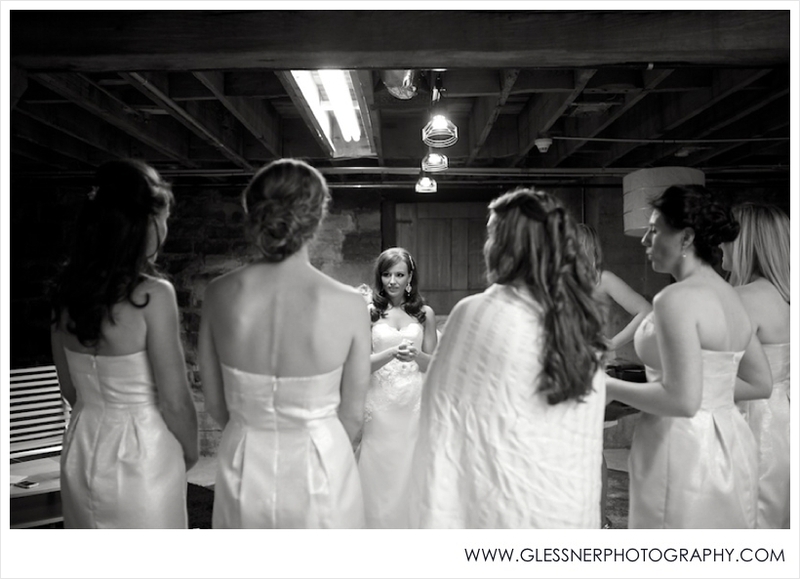 and getting through the day with the help of Dayquil and cough drops, and during the reception, everyone was sent down to the basement of the building due to tornado warnings (that was definitely a first for Glessner Photography). But in spite of the craziness, or perhaps because of it, the day was absolute perfection. Claire looked gorgeous, Spence wore a grin from ear-to-ear all day, the guests had fantastic fun, and tears of joy flowed freely. 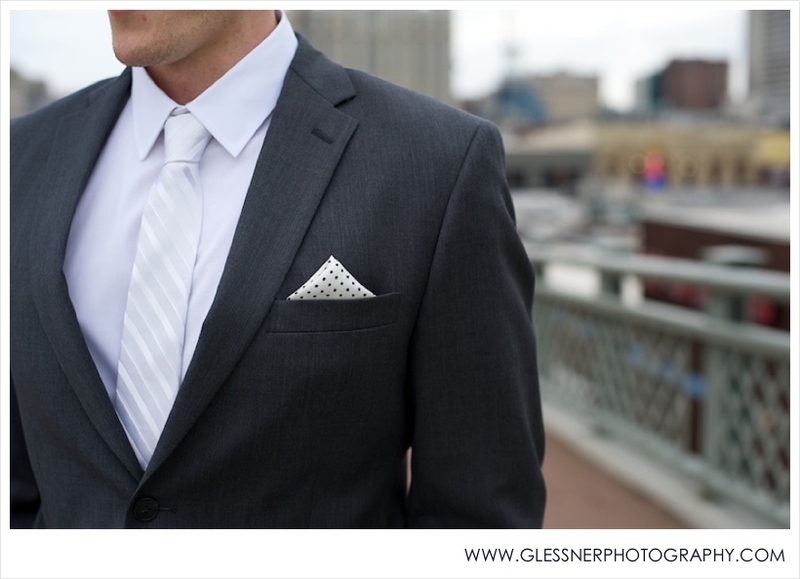 How awesome is this groomsmen gift?! Festive holiday socks, an awesome plaid tie, and most importantly, a little Jack and Coke to start the day off right. Claire's gift to her bridesmaids was a lovely gold and ivory scarf and a pair of earrings for each lady, presented beautifully. 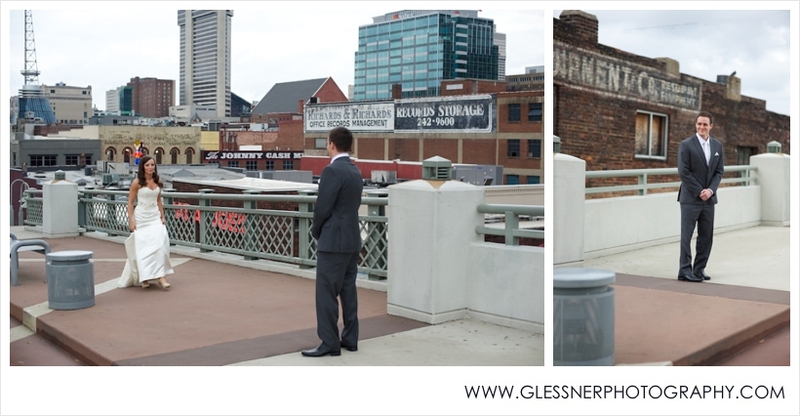 It's no secret that a First Look is one of my favorite parts of a wedding day, and Spence and Claire's was an absolutely lovely moment on the Shelby Street Bridge downtown. Isn't Claire absolutely stunning?!? I swear, she's one of the most beautiful people I know. 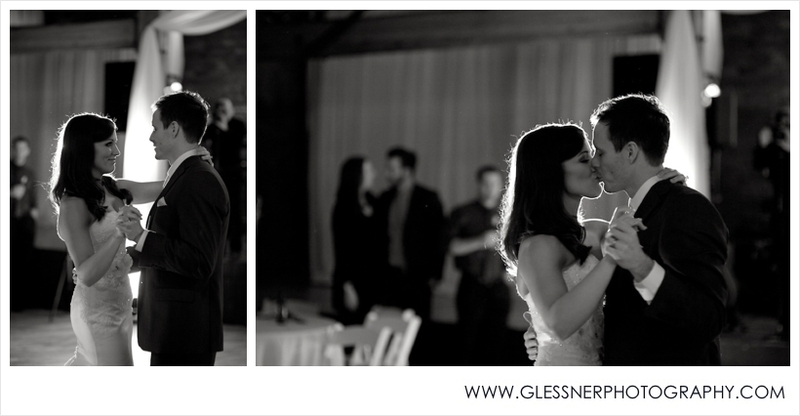 I always think the first dance results in some of the best photos of the day, filled with pure joy. 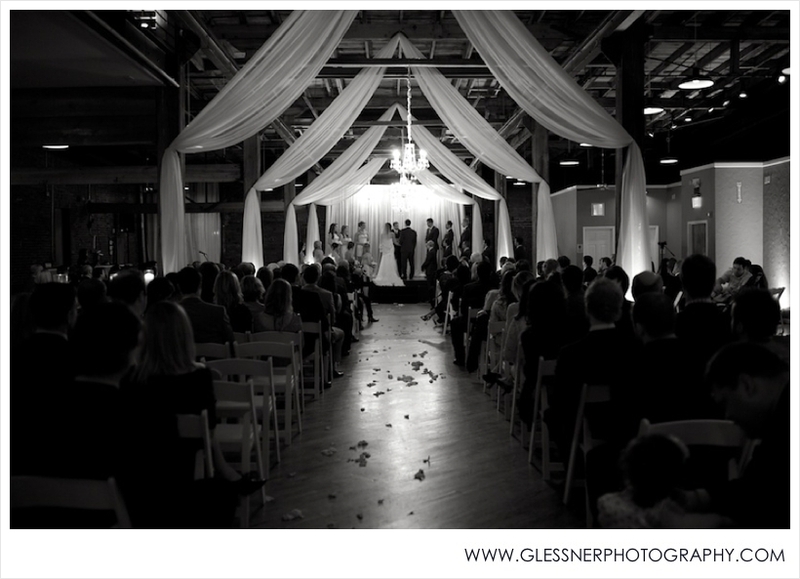 It's usually one of the first events of the reception, after the most stressful parts of the day are over, and the bride and groom are able to relax and reflect on the day thus far... so sweet! 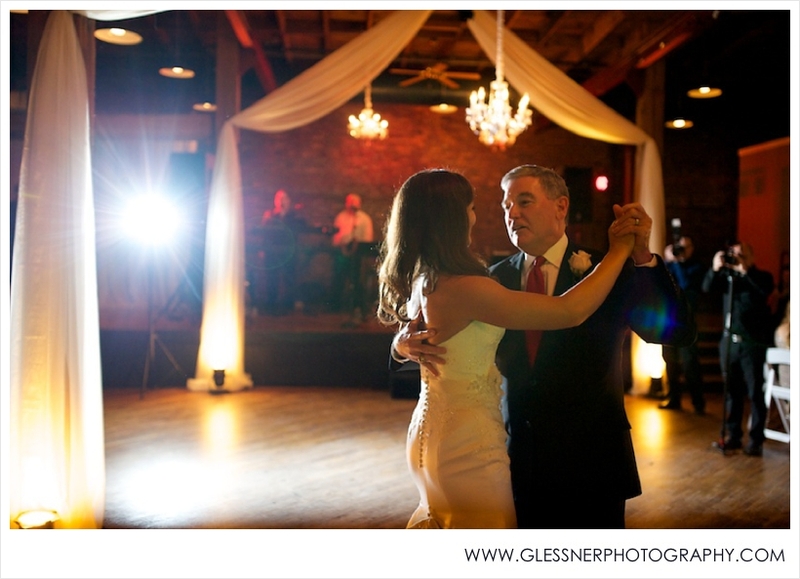 Claire's dad was loving the camera during the father/daughter dance - the image below is definitely one of my favorites! 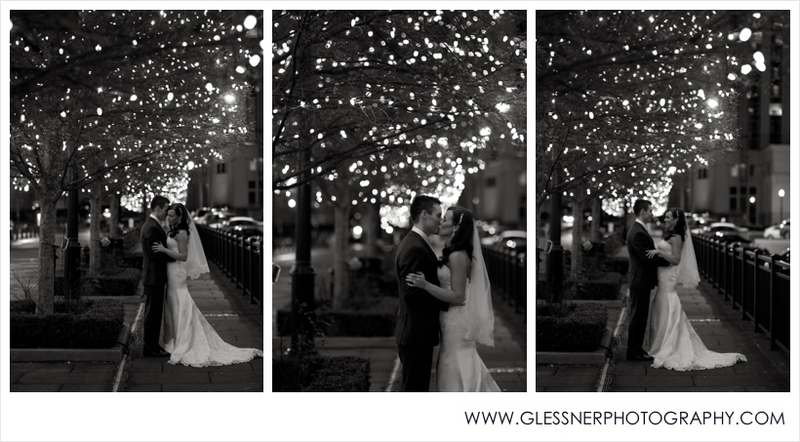 Claire+Spence :: We love you guys to pieces and wish you all the very best for a long and happy marriage that feels like Christmas every day!